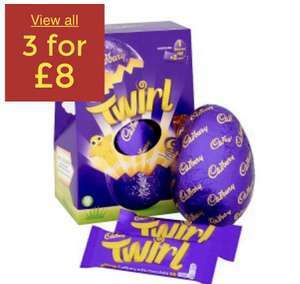 Large Cadbury Easter eggs are 3 for £8 in Asda until Easter! 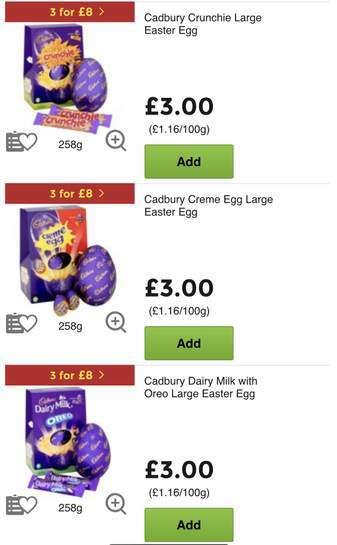 Compared to Tesco's : 3 for £10 this is a good deal. 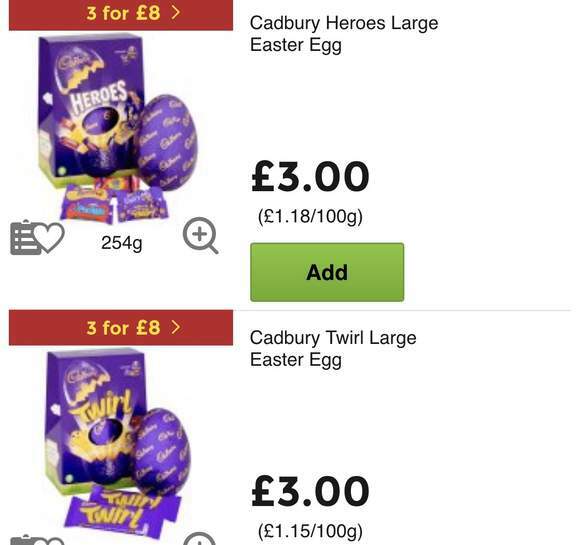 Aren't these mostly £2.50 each elsewhere?